It was 1979 when I first heard these words, in the song “Wiggly World” by Devo, from their sophomore album “Duty Now The Future”. At the time, I was most certainly “unfit". My face was encrusted with lunar surface-esque acne. Black frame aviator glasses with Coke bottle lenses screamed “punch me” to every team sporter in school. My clothes were all wrong: corduroy pants and a plaid shirt, with red sneakers. Fate dumped a greasy pile of broad egg noodles on my head; I surrendered and called it hair. I was a geek, in the time before it was considered marketable or cool. In the ’70’s, being a geek was a liability, something you had to survive. Devo’s music helped make my teenage years survivable. 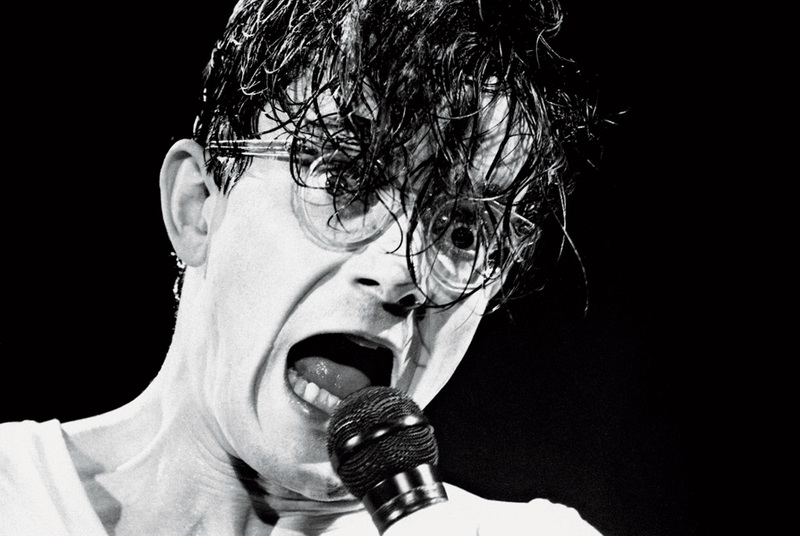 Devo looked like geeks, especially lead singer Mark Mothersbaugh. I had first seen them on Saturday Night Live, playing a mutated version of “Satisfaction” by The Rolling Stones. They were the furthest thing from the image of Robert Plant’s “Golden God” rock star imaginable. Clothed in rubber boiler suits, moving spastically as though having a fit, Devo didn’t seem to be preoccupied with getting girls, unlike most rock bands of the time. Cynthia Plaster Caster wouldn’t likely be found backstage at a Devo gig. Blowup dolls and trays of airplane glue maybe, but not any famous groupies. “So I do this BOOM! and I do that BZZZZZZZZZZ!" "Wiggly World”, the 2:44 long 4th track on side one of “Duty Now For The Future”, begins explosively, a thudding tribal beat doubled by fuzzy synths. Eleven seconds in, a warning siren goes off, punctuated by up and down guitar stabs. The song changes gears, slows down and gets muscular, the drums like a waking slap on the face of someone who’s had too much to drink. It starts, stops, rushes to a frenzied vamp before falling apart in an underground nuclear explosion. Musicially, “Wiggly World” is fizzy lifting drink with martian teardrops melted all over the bottle. And the lyrics? “Wiggly World” said nothing was straight, nothing was “normal”. This was contrary to what authority figures constantly drummed into our heads. Everything was wiggly. Compliance made things seem straight, predictable. Non-compliance was harder, it got you ground under the heel of teachers, guidance counselors, administrators, jocks, local cops and parents. “Wiggly World” was an anthem, Devo’s music a light in the dark, a true north pointing towards a mountain upon which were carved the words “ALWAYS Question Authority”. The notion that questioning authority was not only an option, but a default philosophy, never occurred to me prior to becoming a teenage Devo fan. And truly, the best music before them and since has always questioned or challenged the status quo. Act on reaction dodge the big spud fryer"
We live in a far “Wigglier World” these days, connected to hundreds of people via social networks but dreading the thought of spending ten minutes actually talking to many of them. Imbeciles are worshipped now more than ever. I do my best to "wiggle in the middle and laugh a lot", in my own small ways. I reply to social media posts about the Kardashians with links to stories about chimp attack victims. I’ve developed an allergy to Buzzfeed and all other forms of click-bait garbage designed to keep people numb, dumb and clicking. I am a grown up geek. I was unfit, but I lived. I am grateful that at such an early age, I heard Devo’s “Wiggly World” and realized that things are never straight up and down.